The mother of a three-year-old girl has become the first to be found guilty of Female Genital Mutilation in the UK, after a failed bid to "shut up" her accusers with witchcraft. The mother, who cannot be identified for legal reasons, wept in the dock as she was found guilty of FGM. Her partner was cleared of involvement after the Old Bailey jury deliberated for less than a day. The mother was warned of a "lengthy" jail term and is expected to remain into custody to be sentenced on March 8. FGM carries a maximum prison sentence of 14 years. The girl was subjected to FGM by "deliberate cutting with a sharp instrument" at her mother's home, the Old Bailey heard. Medics raised the alarm after she was taken to Whipps Cross Hospital with severe bleeding. 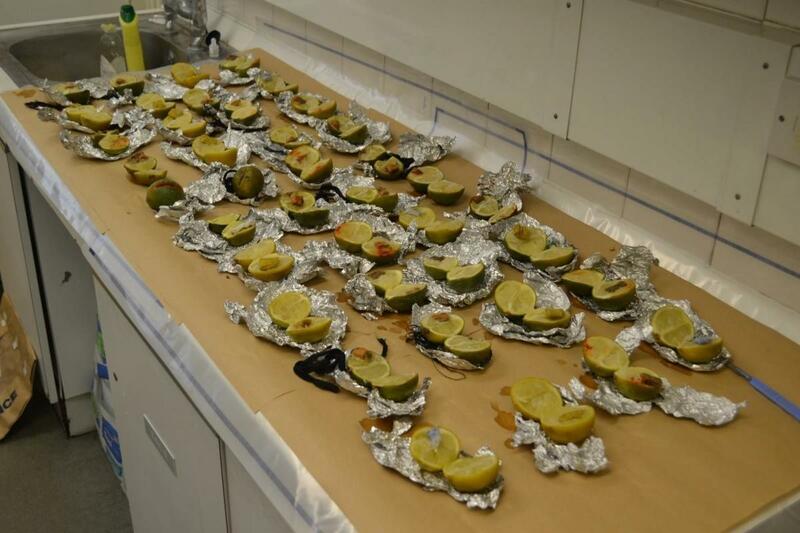 The 40 frozen limes, where spells were stored aimed at silencing police, social workers officers and lawyers in the Female Genital Mutilation case. Image: Metropolitan Police/PA. But the victim later confided in specially trained officers that she had been cut by a "witch". While the parents were on bail, police searched the mother's home and found evidence of witchcraft. Giving evidence, the mother denied cutting her daughter, saying: "It's a big accusation. Someone who would cut a child's private parts, they're not human. I'm not like that." The court heard FGM would need more than one person to do it, although police have not identified anyone else in the case. Detective Chief Inspector Ian Baker, of the Met's child abuse and sexual offences command, said: "We cannot lose sight that this case is about a very young girl who was the victim of an illegal, horrific and life-changing act at the hands of her mother. Immediate effects include bleeding, severe pain, shock and susceptibility to infection, with long-term impacts including gynaecological problems, higher risk pregnancies and mental health problems.